John Salmon, piano, has distinguished himself on four continents, as both a classical and jazz artist. Critics have praised his “mesmerizing boldness and confidence” (Tallahassee Democrat, Tallahassee, Florida) and called him “a tremendous pianist” (El País, Madrid, Spain) and “dashing performer” (Journal de Genève, Geneva, Switzerland). His broad repertoire covers the classics – Mozart, Beethoven, Schubert, Schumann, Brahms – though his involvement with contemporary music is equally strong. Salmon has been at the forefront of performing new works by such celebrated composers as Dave Brubeck (who dedicated two compositions to Salmon), Nikolai Kapustin, and Lalo Schifrin. His performances and recordings (on the Phoenix, Naxos, and Albany labels) have been heard on radio stations throughout the U.S., including National Public Radio, WNYC in New York, and WFMT in Chicago; and on the national radio stations of Australia, Brazil, Canada, England, Finland, France, Germany, Holland, Hungary, Italy, Moldova, New Zealand, Norway, Spain, Sweden, Switzerland, and Ukraine. Salmon is a frequent guest performer at festivals in the U.S. and Europe, having appeared at the Piccolo Spoleto Festival (Charleston, South Carolina), Piano Festival Northwest (Portland, Oregon), Festival for Creative Pianists (Grand Junction, Colorado), Festival Internacional de Música del Mediterráneo (Cartagena, Spain), and the International Bartók Festival (Szombathely, Hungary). Other special appearances include an all-Liszt recital in Mexico City for the American Liszt Society and an all-Brubeck recital in Washington, DC for the Music Teachers National Association. 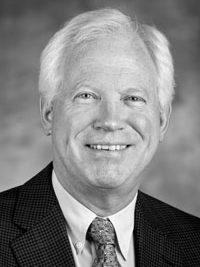 John Salmon has been a member of the faculty of The University of North Carolina at Greensboro School of Music since 1989. He holds the Doctor of Musical Arts degree from The University of Texas at Austin; the Master of Music degree from The Juilliard School; the Solistendiplom from the Hochschule für Musik, Freiburg, Germany; and the Bachelor of Music and Bachelor of Arts (philosophy) degrees from Texas Christian University.